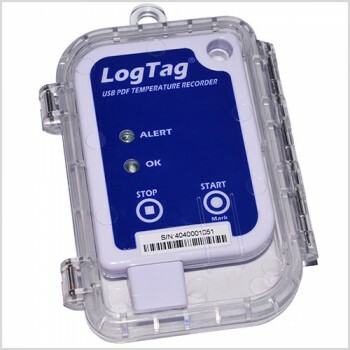 The LogTag® UTRIX-16 satisfies the growing need for a cost effective and reliable multi-trip temperature recorder. It requires no special hardware or proprietary software to access the recorded data and can generate a fully detailed PDF report. The UTRIX-16 stores real-time temperature readings over a measurement range of -25°C to +70°C (-13°F to +158°F), displays user-configurable alerts, and comes with an integrated, long-life USB connector. The UTRIX-16 is enclosed in the same robust and durable polycarbonate case common to other LogTag products. 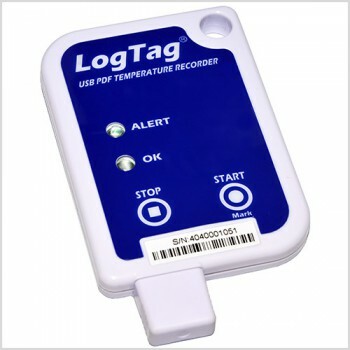 Fully user configurable via LogTag Analyzer for individual alarm settings, start options, trip length and log interval. Up to 16,129 recordings - enough for the longest trip with in-transit inspections which can be recorded at the push of a button. Robust and durable metal USB connector and polycarbonate case with lug for secure mounting. 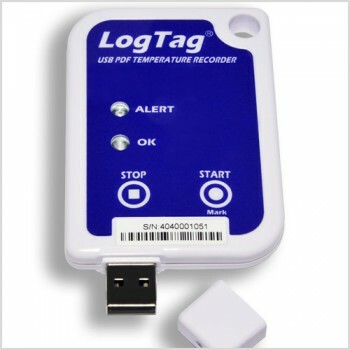 Size 93mm(H) x 54.5mm(W) x 8.6mm(T) including protective USB cap. Learn how to quickly operate the UTRIX-16 device following the step-by-step instructions. Click here download the UTRIX-16 Quickstart Guide. Get access to our free software which you can use with the UTRIX-16 (Single use) device.